Southern Teachers works with the best schools in the South. We want you to see what they look like! 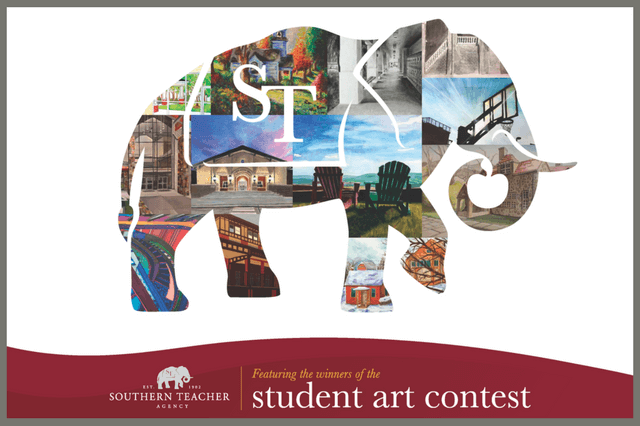 Enter Southern Teachers Student Art Contest and your school could appear in our 2019-2020 Calendar. Students in grades 8-12 currently attending ST member schools are eligible to participate. Click here for complete contest rules and to view all of our winning student art all the way back to 2010, the year we began our contest and art calendar. So much artistic talent at independent schools in the South!